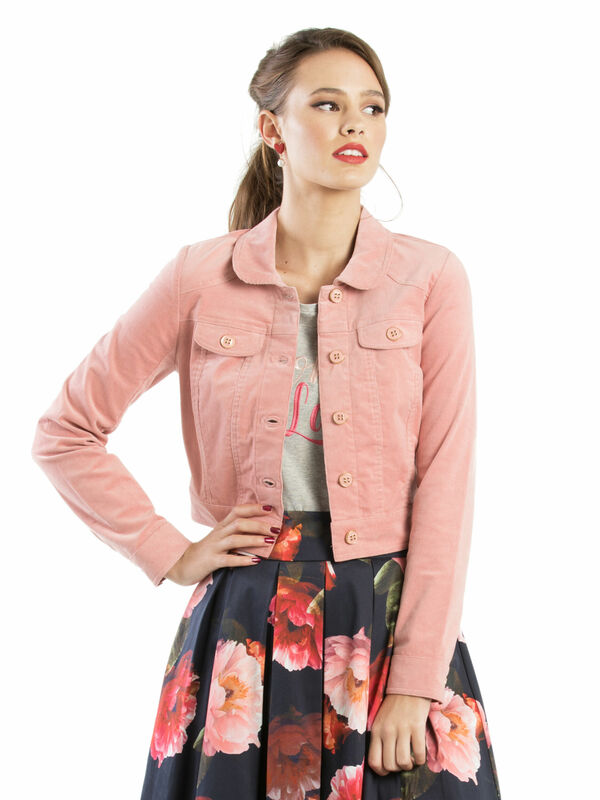 So Plush Jacket https://www.review-australia.com/au/so-plush-jacket-blush/RE19JK066.RERED004.html Jazz up any outfit with the So Plush Jacket, which pairs a sharp cut with the softness of a Peter Pan collar, crafted in blush pink corduroy. 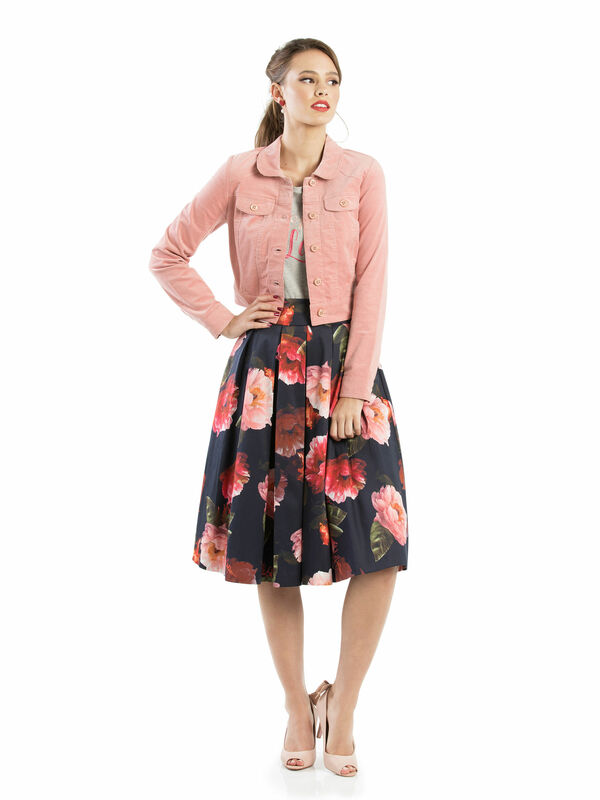 The jacket fastens at the front with large, matching blush-pink, gold-rimmed buttons. Worn with Mystic Floral Skirt, Ooh La La Skirt and Beverley Heels. Jazz up any outfit with the So Plush Jacket, which pairs a sharp cut with the softness of a Peter Pan collar, crafted in blush pink corduroy. 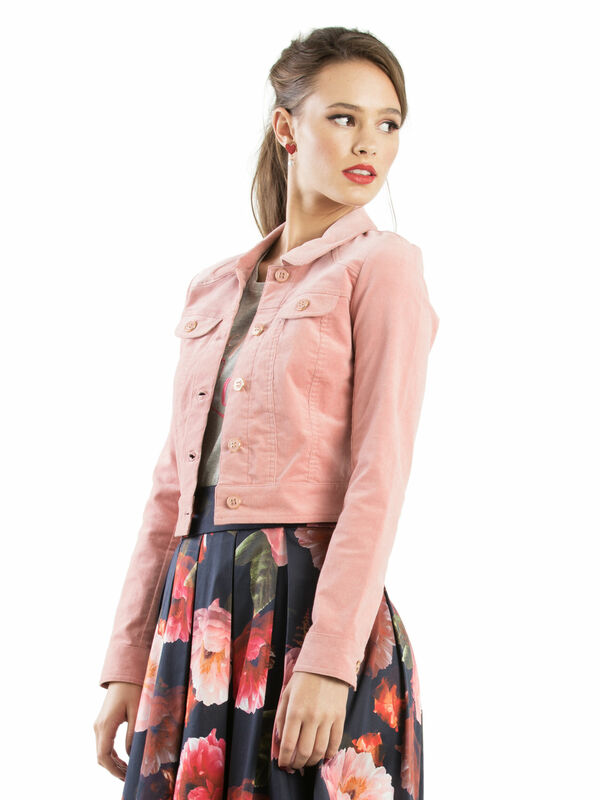 The jacket fastens at the front with large, matching blush-pink, gold-rimmed buttons. So Plush Jacket is rated 5.0 out of 5 by 2.